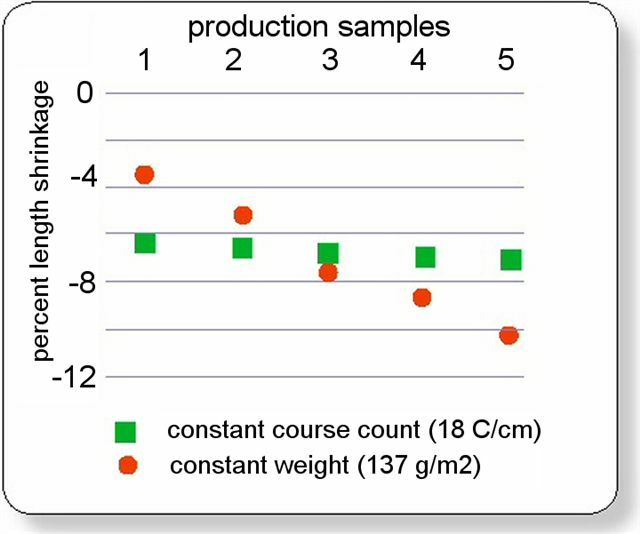 The graph the left shows the results of a study by Cotton Technology International, which compared the % length shrinkage between five plain jersey fabrics finished to constant weight and width, and five that were finished to constant course and width. Fabric finished to constant weight (137g/m2) will have shrinkage that varies from -3.8% to -10.1% as yarn count varies. This 6.3% range is unacceptable to most customers.